Goltzius' entire career demonstrated his legendary mastery of a remarkably wide range of media, subject matter, and styles—from extravagantly complex mythological scenes in prints, to sensitively observed studies from nature, to sumptuously colored oil paintings on canvas and copper. SPECIAL NOTE : The painter will make the reproduction as close to the original oil painting as possible. 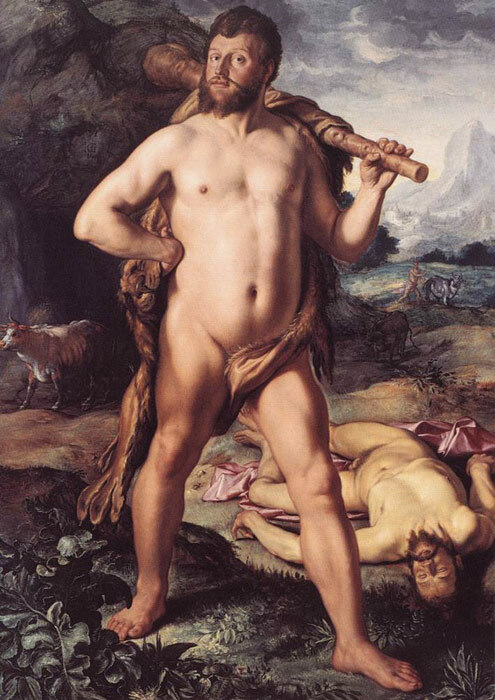 If you want your painting to alter from this likeness, please email us and " Hercules and Cacus, 1613 " will be reproduced according to your special requirements.